Every startup needs funding. Yet raising money is among the toughest tasks entrepreneurs confront. Where can entrepreneurs find the money they need to launch their business? Who can they turn to when the business grows and needs capital to expand? What if you're a woman or minority entrepreneur without easy access to traditional capital networks? What value can financiers bring to a startup besides capital? Think connections, experience and insight. Cathy Connett is chief executive officer and managing partner of Sofia Fund. Sara Russick is general partner at Capita3 and managing director at Gopher Angels. Mary Grove is partner at Revolution's Rise of the Rest Fund. HOST: CHRIS FARRELL Host, "Conversations on the Creative Economy" and senior economics contributor at Marketplace and Minnesota Public Radio News. Conversations on the Creative Economy is Minnesota Public Radio's program to highlight the region's most intriguing and inspiring stories of entrepreneurship, innovation and creativity. 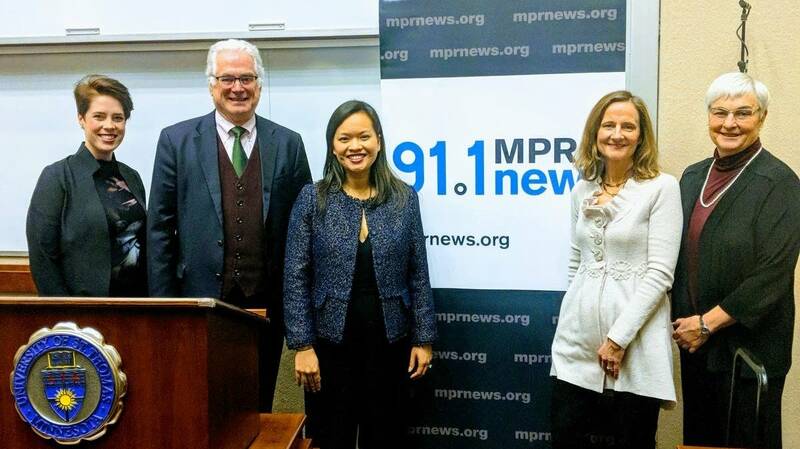 This program was recorded Jan. 7, 2019 at the University of St. Thomas Opus College of Business in downtown Minneapolis.